Another little thing I did before Christmas (after I drowned in stockings) was make some decorations for the Christmas tree. When we’d been shopping for a tree the year before last (last year didn’t count – we were decidedly un-Christmassy and only got a tree on the 22nd. Dont ask.) 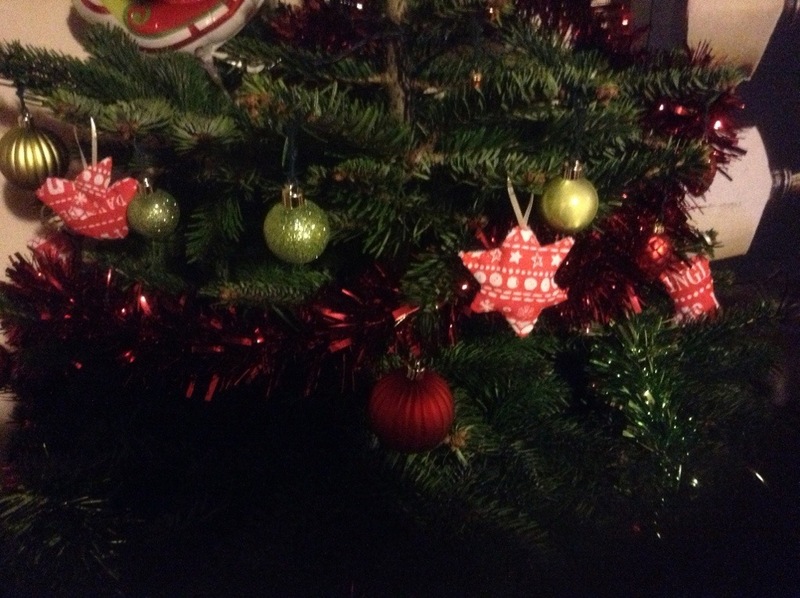 I’d seen some nice gingham-style decorations and this year, that was what I went shopping for. Of course, as these things always go, I couldn’t find any red gingham, only pink. Pink does not say Christmas to me (being red-headed, I really am not a pink person!) but thankfully I then found the material mentioned in my previous post et voila. I wanted to keep it simple with just a few designs, so went for three. Did I ever explain that I have a thing about three? Maybe not. Three is good, trust me. It’s just good. 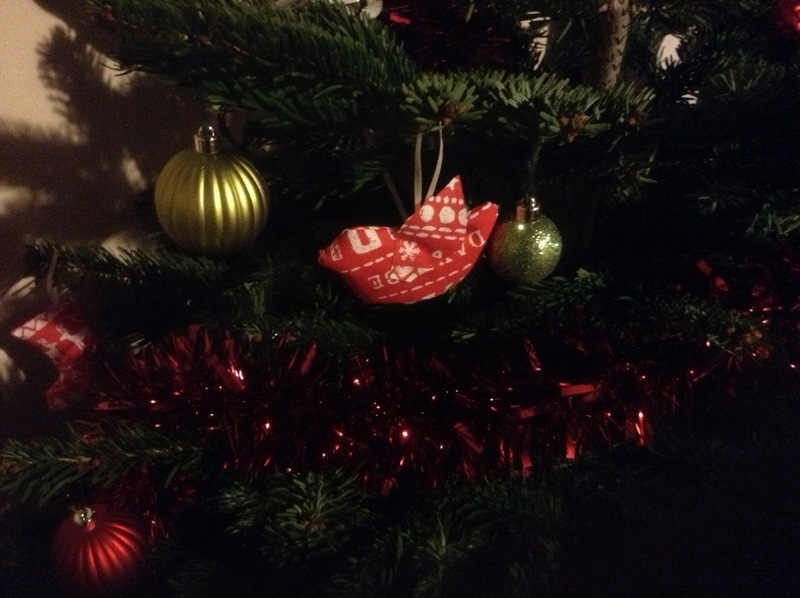 So I went for a stocking (really, after the 24 I made for work you’d have thought I’d be done with them), a dove and a star. I roughly sketched the three designs straight onto the reverse of the fabric (I was feeling brave. The glass of wine I had at the time may have had something to do with that. This is kind of where the wheels came off the wagon a little. I wanted to sew them with some cross stitch thread that I have, it’s a pearlised (ie metallic) one, I have a couple of colours, but I just don’t like working with them. I find they snag on the canvas, they’re no good for using on cards as they’re too stiff to tie in a bow, so I thought I could at least sew the fabric, with a silvery-white thread that would sparkle under the tree lights. I plan, practicality laughs in my face. I tried it with all 6 strands (not least because it’s a nightmare to separate), it was too thick for the thin cotton. I tried 3 (because three is good – see above) but they separated out too much in the stitch. I tried 1, but it was too thin and didn’t sparkle. Thoroughly hacked off, running out of time and feeling decidedly unfestive with no goodwill to anything, I whacked a running stitch in plain cotton white thread through them all, turned them right-side out again, stuffed them with cushion stuffing that Toby had helpfully prepared for me (by pulling it out of his cushion), and sewed up the last corner, with a short length of cream ribbon for a hanging tag. 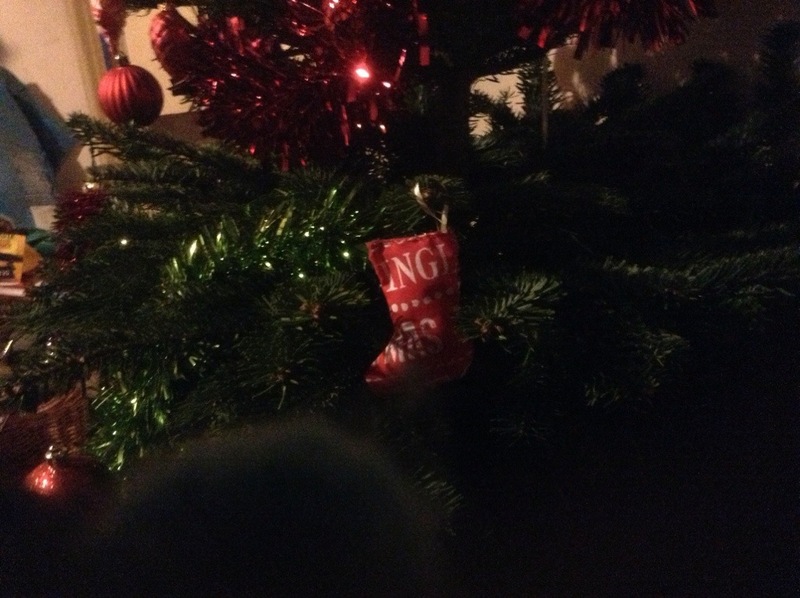 Now if I could only get that organised with cards and presents for next year, I’ll be laughing! 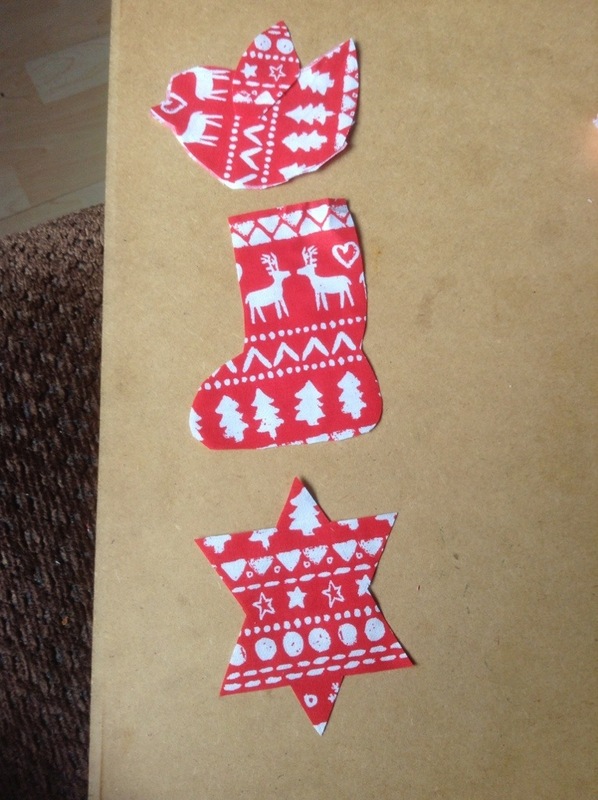 This entry was posted in sewing and tagged birds, Christmas, felt, sewing, stars, stockings, tree decorations.